Getting enough fat on a low carb vegan diet can be a bit of a challenge since many vegan protein sources such as tofu, tempeh and seitan are relatively lean. These healthy fat bombs are a delicious way to make up for that. Go easy on them if you are looking to loose weight, but if you are eating this way for reasons other than weight loss like me, a few fat bombs a day are a must. Melt the nut butter and coconut oil in a bowl in the microwave (30 sec on high should do the trick) or in a small pot on low heat on the stove. Mix in the cocoa powder and seeds/nuts. Gradually stir in the liquid sweetener and taste a few times until it's sweet enough for your taste. Keep in mind the sweetness will be less noticeable once the mixture has cooled. Pour the fudge into a small square flat bottomed container and put it in the fridge to set. Cut it into little squares using a sharp knife or pizza cutter. It will keep for several weeks in the fridge. 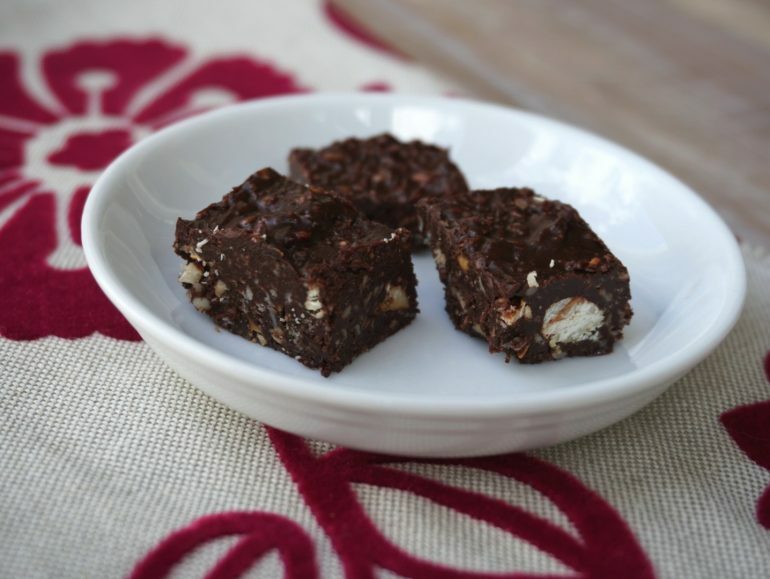 I made these today with 1/2 cup hemp seeds and 1/2 cup walnuts, so yum! And very satisfying. After 3 pieces, that is. :p In case you'd like to add the nutrient info, I just calculated it in Cronometer for myself. If you divide the recipe by 12 it's 165 kcal, 3.7g net carbs, 13g fat and 5g protein each, using hemp and walnut. I think I'll try almonds next time! Alynda, thanks for the nutrition info. But..... many of us don't go by "net" carbs but by the real carb count..... what would that be? Hi Sandra, the total net carbs + fiber. I think it is unhelpful to add the fiber to your total carb count as your body cannot digest fiber.